Real-time media delivery is important for many cases like chats, security, bidding and online sports. Hence the need for reliable way to play low delay live streams on mobile devices. Softvelum provides iOS player for such purposes. You can use SLDP Player for free. 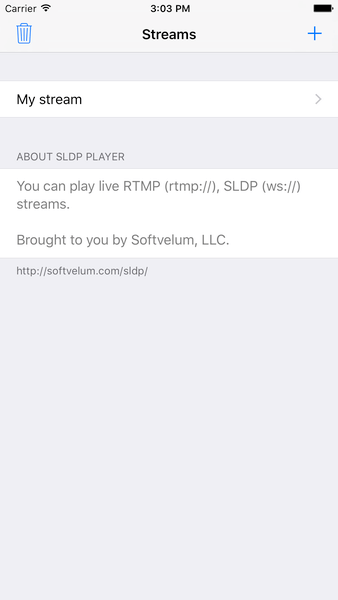 SLDP Player may be combined with SLDP web player to cover iOS browser playback use case. Softvelum provides SDK which includes source code of the Player. You can use it in your applications for real-time playback. Being subscribed, you be able to get updates and our technical support. 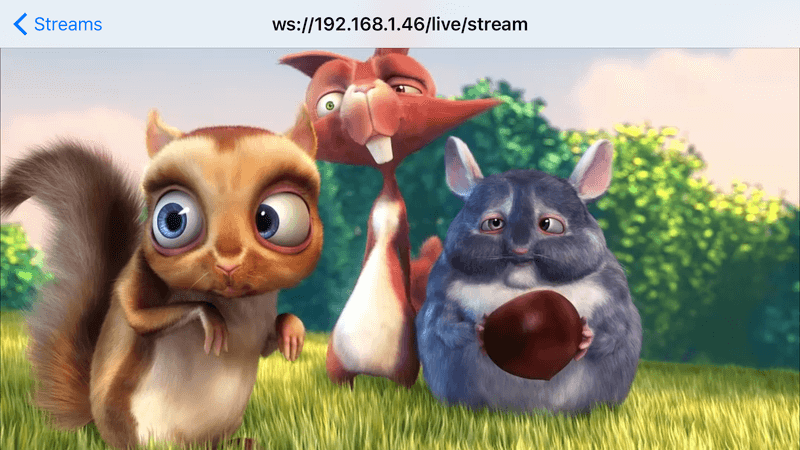 If you subscribe for both Larix streaming SDK and SLDP Player SDK, you get a combined demo app showing "video call" functionality with both streaming and playback. Please also take a look at frequently asked questions to see advantages and best techniques of SLDP usage. To allow your users broadcast from mobile devices, you should take a look at Larix Broadcaster app and SDK. It has wide support for capturing, encoding and transmitting the content. SLDP Player works perfectly with other Softvelum solutions. Check some snapshots of Softvelum usage to see how you can use SLDP Player with other products. Nimble Streamer is fast freeware streaming server with low resource consumption and full support for SLDP.